Cefiro is a light, zesty, citrus blend for both women and men. There are 25 reviews of Cefiro. I have to say that the notes provided above are much closer to what is detected by the nose; the overall composition on paper hints at something along the lines of Bulgari Pour Home Extreme. I wonder if some reformulation has taken place. In any event, what ends up presenting itself is a fresh fragrance with prominent citrus but also a persistent floral accord much closer to neroli than to jasmine, backed up by a light take on musk and woods. It is reminiscent of ELO's "You or Someone Like You", and where it might be seen to have an advantage over that scent is in the musky backbone, which sits better on me that the long-lasting and somewhat aggressive rose of YOSLY. As befits the name, there is just the suggestion of wind blowing through washing on a breezy day. Performance in good in terms of sillage and longevity. However, Cefiro moves too far to the feminine for my liking to compel me to do anything more than finish the sample. I would see this working best on women who like the freshness of many male perfume genres and have no wish to wear the latest oxygen-sapping Dior or Chanel. All in all, another success for a house that I tend to get on well with. I do like fragrances by Floris. In fact, one of them is currently one of my favourite fragrances of all time. With this one though, I am not so impressed. Although it is of a good level and quality, I can't see anything which would distinguish it from the many different types of citrus, masculine types of fragrances consisting of citrus top, floral heart, and aromatic base. There really is very little difference I think. In conclusion, I would choose over this the famous Bleu de Chanel as a better alternative. 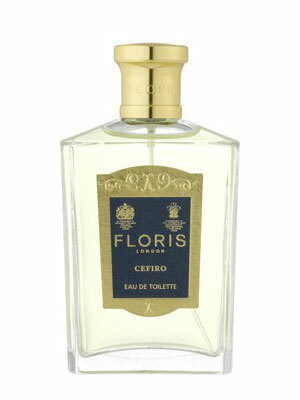 Cefiro introduces itself with a rounded, realistic lime zest and herbal top note that’s a pleasure to smell. From there it develops along a hybrid woody/eau de Cologne pattern explored successfully by scents like Eau de Rochas, Eau du Sud, Acqua di Iskander, and Monsieur Balmain. 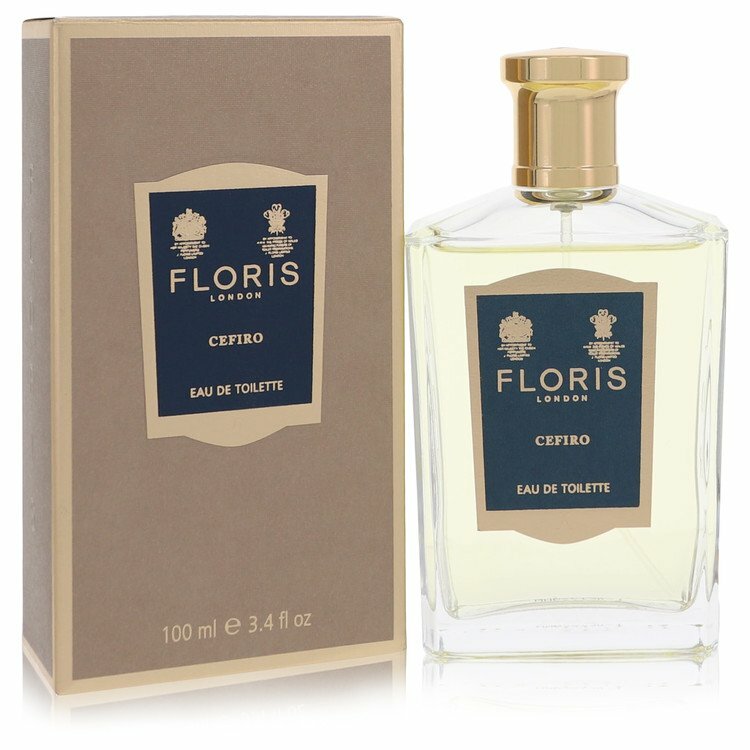 Cefiro evolves by way of a very light neroli note, a perky herbaceous accord that suggests tarragon and basil, and a mélange of soft woods to hold the whole thing together. About an hour in, I catch a peculiar, artificial-seeming fruity note that suggests hard candy, but it’s not strident enough to offend. I can’t say that there’s much more to Cefiro, but this kind of fragrance doesn’t aim at complexity – just at the somewhat more than ephemeral pleasures of an extended eau de Cologne. That said, it’s only fair to mention that a scent like Eau de Rochas or Monsieur Balmain accomplishes this aim as well, or better, at a mere fraction of the price. I really enjoy this citrus scent. I wouldn't say it's very unique but it is exactly what I look for when I want a summer fragrance. Unfortunately, olfactory fatigue kicks in fairly early for me (2.5-3 hours) but the longevity and projection is still there. It's definitely more feminine in the opening but it works very well with my skin compared to most of my fragrances. This is a straightforward scent, with a lemon-mandarin opening that later on is complimented by neroli and bergamot. The neroli predominates in the middle phase and gives it a more herbal character. Towards the end a fresh tea note combined with white musk appears, which is very pleasant basenote. Overall more substantive with a more mutidimensional development than many other citrus fragrances. This is a light and fresh scent in the British Cologne tradition, but in spite of poor sillage and limited projection I am getting over two hours out of this, which on me is very good for a citrus-based fragrance. This is a very pleasant light fragrance--like an eau de cologne. I'm a woman, and I like this very much in hot humid summer weather (like we have in Washington DC). It has little staying power, but I don't really expect that. Absolutely fabulous to spritz on after a shower. I feel a bit odd at giving this a positive review, given that the majority of people on the site dislike it ... but I do like it. It smells very nice on me, it's a perfect summer fragrance for me, and Luca Turin calls it 'strikingly fresh and pleasant' in his A-Z guide, so I feel I'm in good company in liking it. There are no member images of Cefiro yet. Why not be the first? What's the deal with Floris Cefiro?